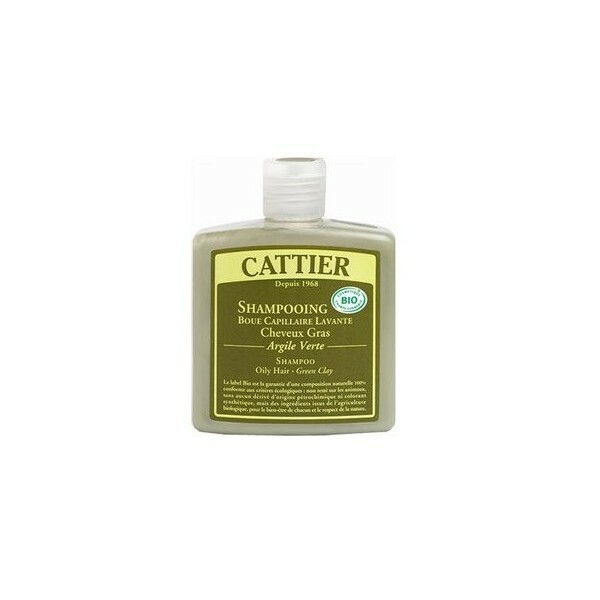 Clay Hair Shampoo Fatty-green 250 ml. Cattier. 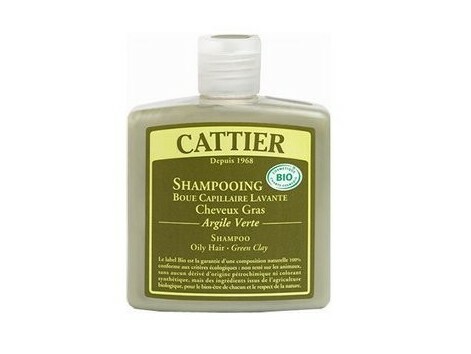 For greasy hair with green clay Overview: Shampoo for greasy hair with green clay and essential oils, cleanses the scalp by balancing the virtues of green clay that absorbs excess sebum, it is also rich in protein corn feed and strengthen the hair from the root facilitating cleaning. Endorsement: Ecocert-BIO Active ingredients: Clay Green: absorb regulates excess sebum, antiseptic Organic lavender floral water: purifying, soothing Wheat protein: nutrients, protective, restorative, soothing, antiseptic. Glycerine (vegetable): lisante, hydrating Essential oils: sage green, orange, bitter orange Lichen extract: natural preservative, anti-microbe Composition INCI: Aqua, Ammonium Lauryl Sulfate, Lavandula Angustifolia Extract *, Cocamidopropyl Betaine, Montmorillonite, Xanthan Gum, Benzyl Alcohol, Sodium Benzoate, Glycerin, Usnea Barbata, Hydrolyzed Wheat Protein, Salvia Officinalis *, Lactic Acid, Aniba rosaeodora, Santalum Album, Pelargonium graveolens Citrus Dulcis, Citrus Amara. * cbc = controlled biological cultivation. Tips: Apply to wet hair, massage gently until foaming. Allow a few moments. Rinse thoroughly with warm water.